1. Give examples and describe in detail how to set up and conduct musical and fingerplay activity in the preschool/kindergarten setting. 2. 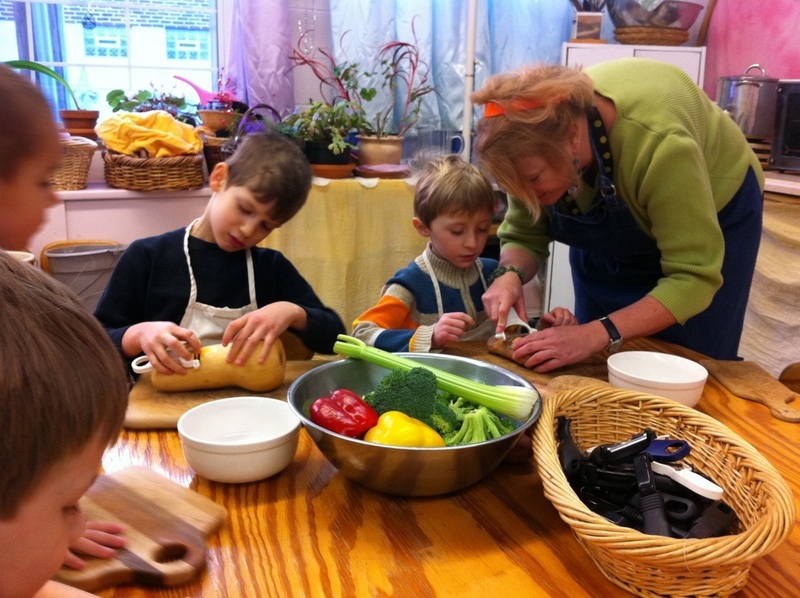 Create a fictive dialogue between a Waldorf preschool/kindergarten teacher and a parent. The dialogue should explain to the parent the ideas and concepts of Pentatonic music and the "Mood of the Fifth". Pentatonic Music and the "Mood of the Fifth"
What about Music and Dance Lessons? Children love sounds. They love to make them—with their own voices, by banging a spoon on a cooking pot, by blowing into a wooden flute. And they love to hear sounds, because sounds give them exciting information about the inner structure of an object. They unconsciously absorb the sound that manifests the nature of the object when it is touched, knocked, or dropped. The baby with a rattle is expressing her nature to be in movement, but she is also listening to the sounds her movements produce that stop when she stops moving. Seeing to your child's musical and movement activities in the preschool years might or might not make him a great musician later in life (that depends on musical talent and destiny), but it can lay the foundation for healthy development, which has ramifications in all spheres of life. Parents today are being bombarded with reports of the so-called "Mozart effect," a phenomenon that has gotten so out of hand that new parents are being sent home from many hospitals with a CD of classical music to play for their babies in order to make them smarter. All this is courtesy of the National Academy of Recording Arts and Science Foundation and the maker of Enfamil baby formula and is paid for by the state legislatures in Georgia and Tennessee. Florida even mandated that state-run day care facilities play such music every day. But what did the studies behind this trend really show? This made the researchers question whether music itself might encourage those neurons to communicate, so they devised a study with preschoolers to see how musical training might affect their brain development. In their study, 111 three- and four-year-olds were randomly divided into four groups. One group received daily singing lessons and two 15-minute private piano lessons per week at school. A piano also was made available if the children wished to practice on their own. A second group received only the group singing lessons. Members of the third group received two 15-minute private computer lessons each week, while those in the fourth group received no lessons at all. At the beginning of the study, all of the students scored at the national norm on the tests. At the end of six months, however, those who received piano lessons scored an average of 34 percent higher on the tests of spatial-temporal ability, while those in the other three groups showed no improvement on any of the tests. The study was unable to follow the children to see whether the effect was lasting, but other studies with classically trained musicians have shown permanent physical changes in the brain compared to people who have not had extensive musical training. Although this study showed that giving preschoolers piano lessons significantly increased their ability to perform the types of reasoning required for excellence in science and math, as a Waldorf educator, I would want to make sure that any music lessons are developmentally appropriate and presented in a way that use the appropriate part of the brain and not a lower part, as when babies are taught to "read" by memorizing flash cards. Given the dreamy state of consciousness of the young child, piano lessons would need to involve a lot of fun, not reading music or the pressure to perform. Still, this study might demonstrate to parents that if they're debating between investing in a computer (or sending an older child to computer camp) and buying an instrument and paying for music lessons, an active involvement with music could be more valuable in terms of brain development. Musical development, mathematics, and spatial reasoning all result in similar brain activity. Both music and mathematics activate parts of the brain in or near the cortex, and there is a definitive relationship between mathematics and musical skills. The crucial window of development, as with language, is from birth to about the age of ten. So what should parents do to ensure optimal enjoyment of music as well as optimal brain development, in a way that is still developmentally appropriate for their child? It is difficult to simplify music enough for young children. Even a song with one note can be completely satisfying to them. Here is one song that I made up while looking out the window. It can be accompanied by hand movements that suggest the falling rain and by forming a circle with the arms to represent a puddle. ​When in doubt when choosing the pitch for your song, choose A above middle C. According to Steiner, the qualities of this note are associated with the sun and are especially suitable for early childhood. Here's a song that goes up and down from the A. If you take off running and flying, your child will delightedly do it with you. ​When you are telling fairy tales, remember how simply key phrases can become a song, like the following from the fairy tale "Snow White and the Seven Dwarfs." Singing with your child is one of the joys of parenting. If you can't remember songs from your own childhood, several excellent anthologies (with CDs to help you learn, not to play for your child!) are listed at the end of this chapter. As an adult who hadn't moved much for a few decades, I found that putting movements to songs and verses wasn't my strong suit as a new teacher. I could remember "I'm a Little Teapot" from when I was three years old, but that was about all. But I decided to continue to ponder the movements that express the essential nature of various activities. Gradually the children taught me, and I began to understand more and more. Now I can do movements appropriate for preschoolers to any song or verse, but I certainly felt awkward and self-conscious when I started! Seeing how imitative young children are and how much it is part of their nature to move along with the words helped me rediscover this childlike part of myself. Ring games are joyful, sociable, and simple, yet they have all of the solemnity of a ritual in the way they are repeated over and over. Circle games contain rhythms that affect the beat of the children's pulses. They sometimes incorporate the ability to do tasks without self-consciousness, as in washing the clothes or brushing one's hair in "Here We Go 'Round the Mulberry Bush," while others deal with the interplay between the individual and the group, as in "The Farmer in the Dell" (a game that can be too intense for three-year-olds, who don't yet like being singled out and standing alone at the end). A child who does not want to be chosen should never be forced, for games that single out individual characters are too self-conscious for the very young child. The five-year-old, on the other hand, loves to be the farmer or the cheese and to be caught in the games "London Bridge" or "Oranges and Lemons." Younger children will enjoy these games if they can participate as part of the circle without being singled out before they are ready. PENTATONIC MUSIC AND THE MOOD OF THE FIFTH"
The pentatonic scale has five notes in an octave instead of the seven we are used to in our normal diatonic scales. For example, a pentatonic scale built around A would have the notes D, E, G, A, and B, with no half steps (so the notes C and F are not included). If you look closely at children's songs and folk songs, you will see that many are written using this simpler scale. Pentatonic music has the characteristic that it can go on and on without having an ending note that gives it a feeling of being finished (provided the song doesn't end on D, which changes the key from D pentatonic to G major). According to Steiner, these types of songs that are not grounded by a resolving note at the end are especially appropriate for the young child, who is not yet "firmly on the ground." Such music encourages the young child to stay in a dreamy state, so the greatest amount of energy is available for the healthy forming of the physical body. If this is done in early childhood, then the child's intellectual capacities will later wake up while he still maintains a strong contact with wonder, beauty, and creativity. In the Waldorf schools, pentatonic songs are used until the third grade, when the children have developed an inner emotional life that makes the major and minor scales more suitable for them. A kinderharp (children's harp or lyre) is a small handheld harp that can be tuned to the pentatonic scale, which enables anyone to play beautiful music on it; all the notes sound harmonious together, and the quality of the sound is ideal for the young child. Such instruments, without sounding boxes, give a very pure experience of each note, without harmonic overtones. This simple, pure experience of the tones is ideal for young children and is recommended by Steiner over more complex instruments like the piano. Kinderharps are lovely instruments for nap time and bedtime. Their music is very angelic and can really help calm a child and lull him or her to sleep. As children get older, they also like to pick out tunes on the kinderharp. Such instruments are used in Waldorf early childhood programs for the children to play (very carefully) and for the teacher to play at circle time, or at nap time in afternoon programs. Kinderharps vary greatly in price and can be purchased from the companies listed at the end of this chapter. In addition, Choroi makes other pentatonic instruments such as a recorder (flute) made out of pear wood, and a klangspiel (xylophone or glockenspiel). Percussion instruments are not generally recommended for young children because a beat that is too strong can drive children too deeply into their physical bodies. This is in opposition to the fluid molding of their inner organs that occurs during the first seven years. Rock music has an especially strong beat and should be avoided for the young child. I hope I've built a fairly convincing case for the benefits of simple, live music for the young child. We must remind ourselves again and again that the young child is all sense organ and monitor our children's environment for the quality of the sounds that surround and permeate them. 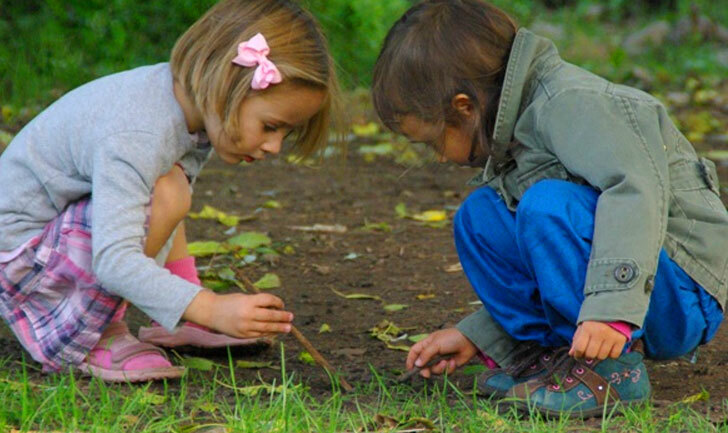 In our culture not only do we also tend to be oblivious to the real nature of the young child, but unfortunately we also often substitute nonliving or mechanistic actions for living interactions. Thus instead of letting our babies sleep where they can sense our presence, we put on a recording of a heartbeat. Instead of holding and rocking them to sleep, we are told to turn on a machine that simulates a car going fifty-five miles per hour or to use the noise of a clothes dryer. Instead of reading to them and then letting them lie quietly until they fall asleep, we pop a CD of a professional reading a story into the CD player and beat a hasty retreat. Or instead of singing with our children and letting them help with what we are doing or play quietly near us while we work, we put on one of their DVDs to make them become passive and free us from them. Even though you may think that someone else singing children's songs is doing a much better job than you could possibly do and is providing a better experience, your child would not agree. Your child would always vote for you, because it is the "aliveness" that provides the real nourishment. Is it, therefore, a good idea to start music and dance lessons at a young age? Unfortunately, most teachers of young children don't understand the principles of imitation and the importance of play and fantasy. They teach cognitively and put pressure on the child to learn a lesson or to do it right. Such a direct approach is far too self-conscious and can be stressful for the young child. While children need play that incorporates dance and music, most lessons are designed for older children, even though they may indicate that they are for four- or five-year-olds. Elkind, in Miseducation: Preschoolers at Risk, develops a strong case that any type of lessons places preschoolers at risk with no real gain. Waldorf teachers would agree that most lessons are inappropriate for the young child. If you do consider any kind of lessons for your nursery or kindergarten-age child—swimming, gymnastics, modern dance, or sports, for example—be sure to observe the classes before you decide whether or not to enroll your child. Does the instructor teach through imitation? Are the things that are asked and done clothed in fantasy? Or is the instruction appropriate for a much older child? Does your child really feel comfortable being away from you? Would the classes be enjoyable or stressful for your child? Would classes be taking away time from play or just being at home (especially important for children who are already in preschool programs or child care)? Don't sacrifice the current stage of your child's development for some future achievement. If it isn't fun, it is better left undone at this age! Steiner made two recommendations that aren't going to win him any points with parents today. He recommended that children avoid ballet and soccer. In ballet the fixed and artificial positions are foreign to the fluid and changing nature of the growing child. Ballet also affects the vital energy involved in growth and reproduction, as evidenced by the high rate of menstrual irregularities in professional ballerinas. The discipline and fixed positions of ballet are very different from the rhythmical movement that Steiner recommends when dancing with children. In soccer the exclusive use of the feet and the head in hitting the ball puts undue emphasis on the extremities at a time when the grade-school child is centered in the middle sphere, the heart/lung area. Studies of the long-term effects of playing soccer following the work of neurologist Barry Jordan also found that Dutch professional soccer forwards and defensive players (those most likely to "head" the ball) were more likely to have subtle problems in everything from memory to visual perception than were midfielders and goalies. They had more concussions as well. Jordan also found that professional boxers who carried a specific gene linked to early onset Alzheimer's disease were more likely to suffer cognitive impairment than non-boxers, and he is also checking to see whether the same is true with soccer players. (13) Although your child won't experience the same kind of battering that professional soccer players endure, one can't totally discount Steiner's observation that such use of the head is not healthy for the growing child. Returning from the soccer fields to the realm of music, unless your child is a musical genius who clearly needs a tutor at age three, there are many reasons to wait until elementary school before beginning music instruction. Unfortunately, most people who work with preschool children don't know how to teach from imitation and start by teaching how to read music. Even the idea of having to learn a lesson through imitation is too direct an approach for a young child. While the Suzuki method does work through the principle of imitation, the emphasis on recorded music is not consonant with the young child's need to hear live music and simple tunes. Performing at young ages, an integral part of Suzuki, introduces pressure and self-consciousness into the dreamlike world of early childhood. In the Waldorf schools children don't present anything before an audience until they are in the grades, when the classes share their poems, plays, songs, and recorder music as a class group with other students and with the parents at school assemblies. Playing the wooden recorder is begun in the first grade in Waldorf schools, but the children learn strictly through imitating their teacher. Reading music isn't introduced until the third grade, when the child has reached a certain level of maturity and eye-hand coordination and is ready for the full range of musical experience, including the introduction of stringed instruments. 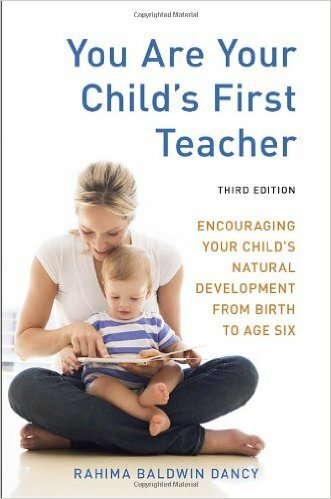 All parents want their children to develop according to their full potential, but an understanding of the inner development of the child leads to the realization that certain subjects and skills are best introduced at the age that corresponds to the child's inner ripeness for them. The desire to "do more sooner," which is a symptom of our spiritual materialism, can lead to skipping steps and hastening a child's development in one sphere without realizing the possible ramifications in another. These comments are not meant to provide a list of "Thou shalt not's," but rather are intended to encourage you to trust your own knowledge and your own heart to intuit what is best for your child. If parents do this, they won't subject their children to the "super baby syndrome" at the expense of the important years of early childhood. Dancing as We Sing, edited by Nancy Foster (Waldorf Early Childhood Association). The Eentsy Weentsy Spider: Finger Plays and Action Rhymes, by Joanna Cole and Stephanie Calmenson (William Morrow and Co.). Let Us Form a Ring, edited by Nancy Foster (Waldorf Early Childhood Association). "Naturally You Can Sing." Various titles by Mary Schunemann, with accompanying CDs. Available from www.naturallyyoucansing.com. The Original Mother Goose, by Blanche Fisher Wright (Running Press). Singing Games for Families, Schools and Communities, by Anna Rainville (Rudolf Steiner College Press). Book with CD available from the Book Store at www.steinercollege.edu. Clump-a-Dump and Snickle-Snack, by Johanne Russ (Mercury Press). Pentatonic children's songs. Available from www.waldorfbooks.com. Gateways and other volumes by Margret Meyerkort (Wynstones Press). Six booklets of songs and stories collected from the Waldorf kindergarten teachers in Great Britain. Pentatonic Songs, by Elisabeth Lebret (Waldorf School Association of Toronto). Contains many songs for the seasons and holidays. Available from www.steinercollege.edu. Quintenlieder: Music for Young Children in the Mood of the Fifth, by Julius Knierim (Rudolf Steiner College Press). Available from www.steinercollege.edu. Seven Times the Sun: Guiding Your Child Through the Rhythms of the Day, by Shea Darian (Gilead Press). Book with many songs plus a CD. Available from www.gileadpress.com. American Folksongs for Children, by Ruth Crawford Seeger (Doubleday). The Lullaby Treasury: Cradle Songs from Around the World, by Mathilde Polee and Petra Rosenberg (Floris). Bella Luna Toys. Offers the most complete selection, plus a DVD on how to tune your kinderharp. At www.bellalunatoys.com. Julius Knierim, Quintenlieder: Music for Young Children in the Mood of the Fifth, trans. Karen and Peter Klaveness (Fair Oaks, CA: Rudolf Steiner College Press, 2002). Rudolf Steiner, Practical Course for Teachers (London: Rudolf Steiner Press, 1937), pp. 18-19. Vadim Prokhorov, "Will Piano Lessons Make My Child Smarter?" Parade Magazine, June 14, 1999, p. 15. Quoted in Pamela G. Kripke, "Get the Beat, Baby," American Baby, February 1998, p. 51. Rudolf Steiner, The Kingdom of Childhood (London: Rudolf Steiner Press, 1974), p. 110. Eileen Hutchins, "The Value of Fairy Tales and Nursery Rhymes," in Child and Man Extracts (Sussex, UK: Steiner Schools Fellowship, n.d.), p. 44. Jane Winslow Eliot, From Ring Around the Roses to London Bridge Is Falling Down: Some Incarnating Games (New York: Rudolf Steiner School Press, 1982), p. 1. Steiner, The Education of the Child, p. 29. Music in the "mood of the fifth" is a special kind of pentatonic music that is discussed in Julius Knierim's Quintenlieder. Readers interested in the healing and other esoteric aspects of music are referred to Rudolf Steiner's work The Inner Nature of Music and the Experience of Tone (Spring Valley, NY: Anthroposophic Press, 1983). Rudolf Steiner, course of lectures delivered at the foundation of the Waldorf school in Stuttgart, Germany, August 21 to September 5, 1919, and quoted in Grunelius, Early Childhood Education, p. 45. "Head Trauma Questions," USA Weekend, January 3, 1999.